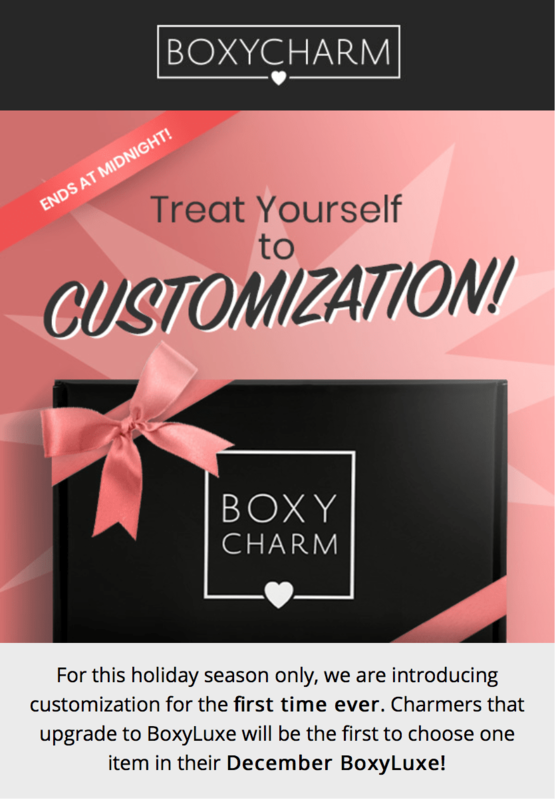 Home » BOXYCHARM » BOXYCHARM BoxyLuxe – Last Chance to Customize December Box! 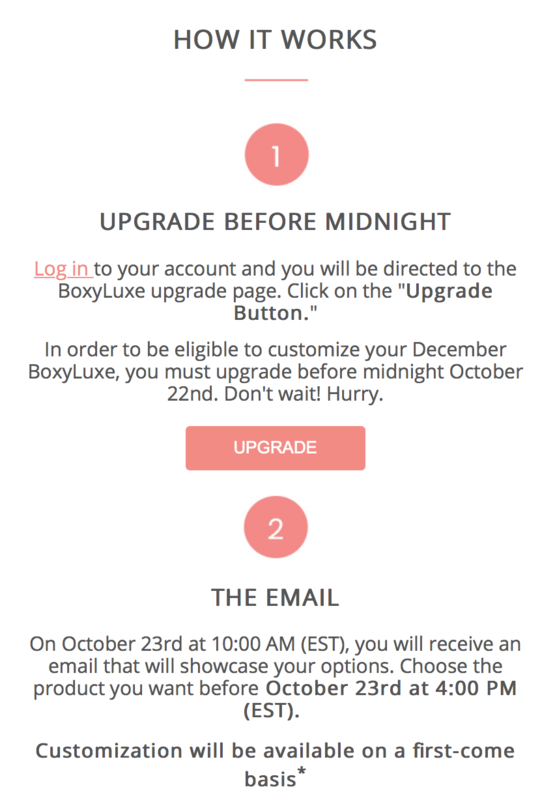 BOXYCHARM BoxyLuxe – Last Chance to Customize December Box! Last chance to customize your December 2018 BOXYCHARM BoxyLuxe box! If you want to get this box, now is the time to subscribe (you will receive the October & November boxes and then the December LUXE box) or upgrade. ~Must Be a BOXYCHARM monthly subscriber. ~BoxyLuxe will be sent quarterly and will REPLACE your monthly box.